Cd and case in good condition. They are traditional christmas carols, choir & orchestra ~ i have checked them, and they play fine. they are PROMO CDs, and were free with either a newspaper or a magazine. CD IS NEW AND SEALED (SHRINK WRAP IS REFLECTING ON SCAN!). 15 Christmas carols sung by the University of West England - Bristol singers, backed by Symphony Orchestra and Chamber Choir. Conducted by Martin Freke. On Muse / Hoxa recordings. I am more than happy to help if I can. If you have any queries about colour, size etc. You can see there are 5 sleeves pictured but the last CD - "The Ultimate Christmas Album" contains 2 CDs in. Here is a small collection of Christmas CDs from Newspapers and Magazines. All are in mint condition as they haven't been played - they are listed as new as I've checked all the CDs and I cannot see any scratches on them. Disc 4: Beloved Carols - Golden Voices. Mary's Boy Child - Roger Whittaker. When A Child Is Born - Fireside Singers. Disc 1: Christmas Favourites Forever! Christmas Song - Roger Whittaker. Disc 5: Gorious Sounds of Christmas. Various ‎– Christmas Music 1999. Very rare CD in as new condition. 12 Away In A Manger. 11 Stille Nacht. 10 First Nowell. 8 See Amid The Winter's Snow. 6 Good King Wenceslas. 5 O Little Town Of Bethlehem. Carols & Capers CD (1991) NEW Title: Carols & Capers Genre: General|tbc Duration: 50 mins Format: CD / Album Type: CD No. of Discs: 1 disc(s) Studio / Label: Park Records UK Release Date: 04 Nov 1991. CHRISTMAS COLLECTION - 13 Traditional Carols. This is one of 10000 singles LP's, 12” and 7" that I HAVE COLLECTED OVER THE LAST 30 YEARS; they run from the 1950's to the 2000's and cover every style of music. 14 In The Bleak Midwinter. O Holy Night: The Christmas Album. 9 O' Holy Night. DANIEL O'DONNELL. Six video performances from the existing ‘Christmas with Daniel O’Donnell’ DVD. Four songs from the original ‘Christmas with Daniel’ album. This CD features two enigmatic historic archive recordings that where intended to evoke a very special type of Christmas atmosphere. There are few pieces of orchestral Christmas music that evoke the mood, magic and marvel that is the Festive season better than Hely-Hutchinson’s 1927Carol Symphony (originally known asThe Christmas Symphony ), presented here transcribed from an early appearance on disc. The Albion Christmas Band ‎– The Carols. Folk, World, & Country. CD, Album, Compilation. 1 – CD £1.29, 2. nd CD £1.00 then 3 – 16 CDs for £3.50. 17 – 50 CDs for £5.00 Still no increase, 3 years in a row. 10 Carols. Good - the item will have had more use, showing obvious imperfections. Excellent - the item will have had very careful use with only small imperfections. Near mint - almost perfect, any perfections will be very minor. Featuring Ritchie Blackmore from Deep Purple. 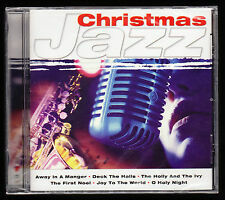 Various: Seasonal Celebration CD EMI Classic FM 1996. 1 CD Album toRest of World is£ 6. 2 0 2 CD Albums to Rest of World are£ 7. 4 0 3 CD Albums to Rest of World are£ 11. To the UK : 1CD Album is £1. Christmas Carols Played on a Celtic Harp. The perfect solution to get yourself feeling in the festive spirit! So,if you're looking for the bit of festive musical cheer at a reasonable price, you've found it right here! [20 Childrens Sing-A-Long Christmas Carols & Songs on a Personalised CD. Hark the Herald Angels Sing]. Songs are sung by adults and children. Popular and classic favourites and more on CD. DVD players, Blu Ray players and Car Stereo’s. O Christmas Tree. Format: CD. ~~~~~~~~~~~~~~~~~~~~~~~~~~~~~~~~~~~~~~~~. Silent Night. Number of Discs: 1. Away In A Manger. Label: Hallmark. CLASSIC CHRISTMAS CAROLS - CHRISTMAS CD. Case and CD like new. CATHEDRAL CAROLS FROM WINCHESTER CATHEDRAL CHOIR - CHRISTMAS CD. MUSIC FOR CHRISTMAS - The BBC Singers sing Charpentier, Gabrieli and traditional carols. GABRIELI - Hodie Christus natus est a 8. GABRIELI - Canzona 7 a 7. GABRIELI - Hodie Christus natus est a 10. GABRIELI - Canzona 12 a 8. 20 Christmas Carols & Songs. This CD is a collection of 20 Christmas carols & songs, sung by both adults and children, which include. 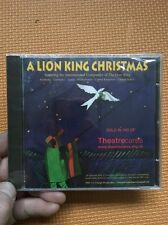 Children's Christmas Sing Along CD. Children's Christmas Sing Along. Includes 10 favourite Christmas songs and carols as follows Silent Night. Cardboard case is badly creased. Away in a Manger. 23 SONGS AND POEMS TO GET YOU IN A FESTIVE MOOD. Jingle Bells 2. Have a holly jolly Christmas 3. Suzy snowflake 5. Zither carol 6. Crazy family Christmas (poem) 7. Rudolph the red nosed reindeer 8. WE WILL REPLY AS SOON AS POSSIBLE BUT MAY NOT ALWAYS BE ABLE TO RESPOND AT WEEKENDS. Disc Condition- EX-, a few minor marks, plays perfectly / Complete with Case, Original Insert & Booklet. Once in Royal David's City 3. While Shepherds watched 4. Away in a Manger 5. Silent Night 6. We three kings of Orient are 7. Hark the Herald Angels sing 8. O little town of Bethlehem 9. Joy to the World 10. Ding Dong! The Herald Angels Sing 3. Silent Night 5. O little town of Bethlehem 6. In Dulci Jubilo 7. While Shepherds watched their flocks by night 8. We three Kings of Orient are 9. Away in a Manger 10 Good King Wenceslas 11. Carols The Christmas Collection CD. - 18 Carols. Mint - the item is in perfect condition. Excellent - the item will have had very careful use with only small imperfections. Good - the item will have had more use, showing obvious imperfections. Useful this Christmas and useful every Christmas! CD 1 - CHRISTMAS CAROLS Sample Lyric Pages. CD 2 - CHRISTMAS SONGS See Amid The Winter's Snow. O Christmas Tree. Rocking Around The Christmas Tree. Title : Winter Wonderland 20 Christmas Carols and Songs. Platform: Music CD. Contents: CD Disc. Frost The Snowman 3.05. Mary's Boy Child 4.44. I'm The Happiest Christmas Tree 2.01. All I Want for Christmas 0.38. Who's That Man (S.A.N.T.A) 3.15. Around the World 2.40. The Shepard Song 3.34. Hark The Herald Angel Sing 2.39. POPULAR CHRISTMAS CAROLS. The Hive Team. About Hive. You can select which service you would like your order sent by when going through the order process. A Brief History of Christmas Carols & Hymns. In the thirteenth century, in France, Germany, and particularly, Italy, under the influence of Francis of Asissi a strong tradition of popular Christmas songs in the native language developed. 20 Sing-along-songs and carols for children and adults of all ages. It's Christmas! All I Want For Christmas. This is a great way to enhance the Christmas Spirit! Plays on any CD, DVD or BLU-RAY player. Christmas Carols & Songs. A Brief History of Christmas Carols & Hymns. In the thirteenth century, in France, Germany, and particularly, Italy, under the influence of Francis of Asissi a strong tradition of popular Christmas songs in the native language developed. CLASSIC CHRISTMAS CAROLS. 2 CD set of carols in a slim jewel case. 4 I Wonder As I Wander. 1 White Christmas. 3 We Three Kings. 15 On Christmas Night All Christians Sing (Sussex Carol). 2 Past Three O'Clock. Zoom > Christmas Carols - Various Artists (Box Set) [CD]. Silent Night - The Rhos Orpheus Male Choir. Unto Us a Child Is Born - Cwmbach Male Voice Choir. Winter Wonderland - Cwmbach Male Voice Choir. White Christmas - Cwmbach Male Voice Choir. CAROL CONCERT. 8 Coventry Carol. 12 Little Jesus Sweetly Sleep (Rocking Carol). 14 Sussex Carol. GOOD CONDITION PROMO CD IN CARD SLEEVE. Christmas Special 2005. 9 The First Nowell. 7 A Starry Night.